Allyn Abbott Young (September 19, 1876 – March 7, 1929) was a celebrated American economist. He was born into a middle-class family in Kenton, Ohio. He died aged 52 in London, his life cut short by pneumonia during an influenza epidemic. He was then at the height of his intellectual powers and current president of Section F of the British Association. Uniquely, Young had also been president of the American Statistical Association (1917) and the American Economic Association (1925). As documented in a 1995 biography by Charles Blitch, Young was a brilliant student, graduating from Hiram College in 1892 at the age of sixteen, the youngest graduate on record. After a few years in the printing trade he enrolled in 1898 in the graduate school of the University of Wisconsin where he studied economics under Richard T. Ely and William A. Scott, history under Charles H. Haskins and Frederick Jackson Turner, and statistics under Edward D. Jones. In 1900 he was engaged for a year as an assistant in the United States Bureau of the Census in Washington DC where he established lifelong friendships with Walter F. Willcox, Wesley C. Mitchell and Thomas S. Adams. Young returned to the University of Wisconsin as Instructor in Economics for the 1901–02 academic session and graduated there in 1902 with a doctoral dissertation on Age Statistics. He then embarked on what Blitch has called a peripatetic academic career, beginning with posts at Western Reserve University, 1902–04; Dartmouth, 1904–05; and Wisconsin, 1905–06. He was then head of the economics department at Stanford, 1906–10, followed by a year at Harvard as visitor, 1910–11, and two years at Washington University, St Louis, 1911–13. In 1914 he became one of the inaugural Fellows of the American Statistical Association. 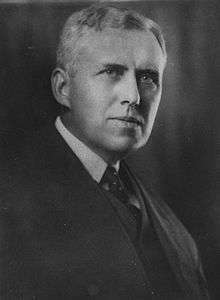 From 1913 to 1920 he was professor at Cornell University, but war took him to Washington DC in 1917 to direct the Bureau of Statistical Research for the War Trade Board, and to New York in 1918 to head the economics division of a group known as "The Enquiry" under Colonel Edward M. House, the group charged with laying the groundwork for the Paris Peace Conference. After the war, Young moved to Harvard in 1920 where he stayed until 1927 when he accepted William Beveridge's offer of the chair vacated by Edwin Cannan at the London School of Economics. He intended remaining at the LSE for three years before returning to Harvard. In December 1928 he traveled to the University of Chicago to explain in person why he felt unable to accept their invitation to be chairman of their economics department. It was shortly after his return to London that he succumbed to the fateful influenza epidemic. A passion for thoroughness would drive him on to explore every inch of the field in which he was for the time interested: he was always convinced that economic truth was not the monopoly of a single school or way of thinking, and that the first duty of a teacher and thinker was to see the strong points in every presentation of a point of view. Such an attitude of mind, combined with great personal modesty, made for unsystematic writing: for scattered papers and articles and not for a comprehensive treatise. In many respects he resembled Edgeworth, for whose work he felt a growing admiration; and if Young's work is ever collected, it will be seen that, like Edgeworth's, it amounts in sum to a very considerable and impressive achievement. I am inclined to believe that he was a man, who knew and thoroughly understood his subject — economics — better than anyone else I have met. I tested him by means of a question about the "Wicksell effect", i.e. the special aspects of the marginal productivity of capital, which at that time was practically unknown in most countries outside of Scandinavia. He immediately gave a fine account in a five minutes speech before the students. What characterizes Allyn Young as an economist was that he had deep understanding of all fields of economic theory while other economists knew well one third of the theory and had only superficial knowledge of the rest. Young's other famous students, strongly influenced by him, included Frank H. Knight, Edward Chamberlin, Nicholas Kaldor and Lauchlin Currie. He was also an influential adviser in the 1920s to Benjamin Strong, governor of the Federal Reserve Bank of New York. Much of his writing was published anonymously and posthumously in encyclopedias, but rescued from oblivion in a volume edited by Perry Mehrling and Roger Sandilands (1999). His best-known single paper was his presidential address to the British Association in September 1928 on "Increasing returns and economic progress". Nicholas Kaldor insisted that this paper had been neglected because it was 50 years ahead of his time, but it has recently enjoyed a revival of interest as an acknowledged forerunner of modern "endogenous growth theory". Collections of Young's papers are in the Hiram College archives and in the Harvard University Archive. Charles Blitch, Allyn Young: The Peripatetic Economist, Macmillan, 1995. A book-length treatment of Young's work. Review extract, Economic Journal, 1997. Perry G Mehrling and Roger J Sandilands (eds. ), Money and Growth: Selected Papers of Allyn Abbott Young, Routledge, 1999, including a comprehensive bibliography. Scroll to article-preview links. ↑ List of ASA Fellows, retrieved 2016-07-16. Peter Newman (1987). "Young, Allyn Abbott," The New Palgrave: A Dictionary of Economics, v. 4, pp. 937–40.